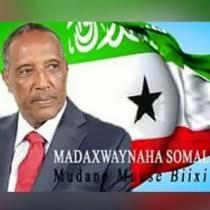 - Officially, Somaliland does not exist. The state goes unrecognised by the United Nations, despite having functioned as a largely stable and peaceful self-governing democracy since secession from war-torn Somalia back in May 1991. And its sovereignty remains unacknowledged by the African Union, even though it is not truly a breakaway state, but a recreation of British Somaliland, a protectorate whose boundaries had existed for a full 75 years before it formed a union with the former Italian Somaliland upon independence in 1960. Hargeisa, the capital of Somaliland – both under British rule and since secession – could scarcely be less cosmopolitan. Goats and camels rest up wherever they find a sliver of shade, donkey carts jostle for road space with taxis and minibuses, and most people dress in colourful traditional cloths. Alcohol is strictly illegal, but every street corner has a stall selling khat – a mildly narcotic leaf imported from eastern Ethiopia and chewed vigorously throughout Somaliland. One might attribute Hargeisa’s unaffected air to the absence of almost every trapping associated with a capital city. There are no embassies or international airlines here, no trendy nightspots or traffic lights, no grandiose five-star hotels or familiar brand names. 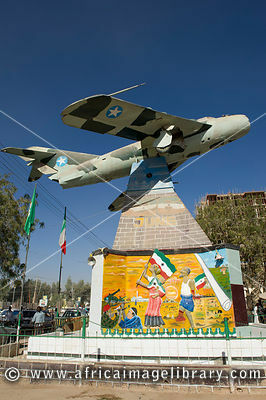 Hargeisa’s best-known landmark, a war memorial comprising a crashed MiG fighter jet, serves to remind visitors that it has been reconstructed almost from scratch since the late 1980s, when the Mogadishu-based dictator Mohamed Siad Barre launched an aerial bombardment that destroyed 90 percent of the city and killed tens of thousands of civilians. Away from Hargeisa, Somaliland offers a surprisingly varied set of attractions. Berbera, the main seaport, is synonymous with ancient Malao, described by a 1st century Greek geographer as a “market town sheltered by a spit running out from the east”. Berbera was annexed to the Ottoman Empire in the 16th century, with its legendary trade fair that attracted up to 20,000 people annually. This antiquity is most evident in the central district of Darole, whose wealth of pre-20th century architectural gems would make it a shoo-in candidate as a World Heritage Site were Somaliland ever to gain UN recognition. Another World-Heritage-Site-in-waiting is the stunning rock art site known as Las Geel. Here, some 350 individual paintings, mostly cattle and other domestic stock, have been preserved by the dry Somali climate for at least 5,000 years, providing incontrovertible evidence that the pastoral lifestyle was entrenched in the Horn of Africa long before it reached western Europe. Bizarrely, though the main outcrop at Las Geel stands within clear view of the surfaced road connecting Hargeisa to Berbera, the site remained unknown to outsiders until December 2002, when a French archaeological team was led there by local villagers. The rough and dusty drive east from Berbera to the remote province of Sanaag passes through a hauntingly empty landscape of stony plains studded with jagged ridges, giant termite mounds, and a few scattered oases and associated settlements. It also provides some worthwhile wildlife viewing, including the near-endemic Speke’s gazelle, the localised desert warthog, and a variety of dry-country birds ranging from the dazzling golden-breasted starling to the stately Hueglin’s bustard. The scenic highlight of Sanaag, the 2,133-metres-high Daallo Escarpment affords dramatic views over tall limestone cliffs and forested footslopes to the distant shore of the Gulf of Aden. The juniper forest here are home to four endemic bird species – Archer’s buzzard, Archer’s francolin, Warsangli linnet and Somali golden-winged grosbeak – along with the fearsomely maned Hamadryas baboon, and the peculiar Speke’s peculator, a rock-dwelling rodent endemic to the Somali region. A striking roadside plant as you descend the seaward side of the escarpment is the Dragon’s Blood Tree, a prehistoric-looking succulent named for its red sap. But Daallo’s main floral claim to fame is as a production centre of high grade frankincense, a camphoric resin, harvested from hardy Boswellia trees, that has been exported from the Somali coast since ancient Egyptian times. The descent road terminates at Maydh, a seaport comprising perhaps 50 to 100 houses, a small jetty, and a shadeless beach lined with a few merchant dhows from Arabia. This modest port might not be much to look at today, but it shares its name with the most prized variety of frankincense, and its environs house the tombs of two of the most important mediaeval saints accredited with spreading Islam through the Somali region – all of which suggests it has been a key centre of maritime trade for at least a thousand years, possibly much longer.